The windows in your home protect you and your family from water damage, insect invasion and the overall changing climate. They also offer opportunity to bring in more light and change perspective in a room. Open or closed windows can also help to lower your heating and air conditioning costs. 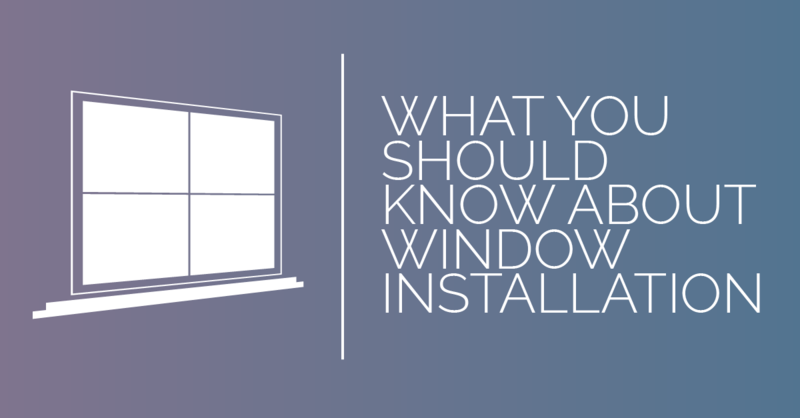 It is important that once you have decided to install new windows you have it done properly and professionally. Older windows tend to be single paned, and do not offer a high efficiency rating. The single glass is not enough of a barrier from the outside to protect against heat and air loss. Energy Efficient windows are dual-paned windows and offer you a thicker double barrier from the outside elements. These windows have been proven to reduce your energy costs and protect your home from UV rays. Overall, energy efficient windows are of greater value to your home. There are a few questions to ask yourself before you call your contractor. How many windows in your home will be replaced? Would you like custom wood or paint to match your exterior? What type of windows would you like installed? Will you be adding a sliding glass door or French doors? Installation per window with one person working on it can run from two to four hours per window, depending on the size of the window. With a contractor you are looking at a shorter installation time because they have experienced technicians working together to get the window done. Remove the old window and prepare for installation – The stop pieces, and the inside and outside sashes around the original window will be removed to prepare the area for the new window. Clean and caulk – The area will be thoroughly cleaned and prepped for the new window. A new bead of caulk and the sashes will be reinstalled. Install new window – Once installed, the area around the jambs will all be thoroughly cleaned again to allow everything to dry properly. Your new windows will protect your home from water damage, insect damage, and create a visual statement that represents your family’s home. Trust your window installation to Straight Line Construction. Our well-trained technicians are ready to install your choice of the most popular windows made by Anderson and Anlin Windows. Give our professionals a call today!